Subscribe to the FGB Painting e-mailing list for special promotions and discounts! View previous e-mails including promotions and coupons! If you would not like to be prompted again, please click the above X to close this form. Welcome to FGB Painting, a fully insured house painting, interior painting, exterior house paint company! Need interior painting ideas? Visit our gallery! Exterior house painting is not only a time consuming task for the average homeowner but also an incredibly daunting one. From picking a paint color for your home to climbing a ladder and trying to paint the exterior, it is better to seek professional help. Four Golden Brothers Painting has many years of experience with taking on such jobs and a level of professionalism that is unbridled. Between the quality of our paint and the expertise of our painters, we can take what would have been a stressful DIY painting experience and deliver a hassle-free, award-winning service for a reasonable cost; it all starts with a free estimate. Another mainstay for us at Four Golden Brothers Painting is our services to decking. Whether it is deck staining, deck refinishing, or deck repair, we have you covered. A lot of times homeowners have a hard time figuring out where to begin with deck work as it is such a large job to under-go on your own. Our licensed and insured experts have no trouble with staining, repairing, or refinishing your deck, and do so with a level of workmanship that has built up a highly respected reputation for us that we are very thankful for. In addition to our interior and exterior painting services we also provide many other valuable home remodeling services. We are fully licensed and insured to do wallpaper removal and wallpaper installation, power washing, custom carpentry, drywall, molding, kitchen remodeling, tile, granite, and more. We provide a wide-range of various home remodeling, restoration, and redesign services that are tailored to your taste; from remodeling the bathroom to the kitchen and from painting the interior of your house to the exterior we serve your design needs. 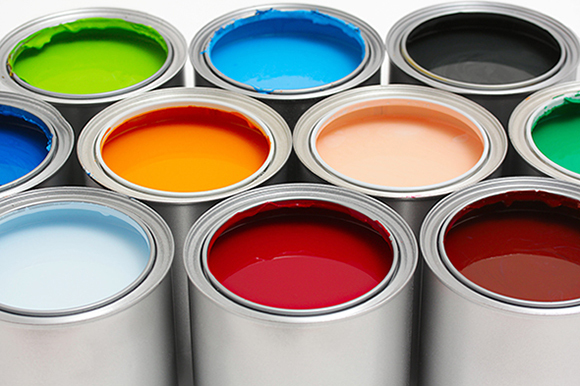 Four Golden Brothers Painting is a three-generation family owned and operated business that has been providing New Jersey and the surrounding states with award-winning service. We are dedicated to not only having our customers’ expectations met, but also exceeded. All of our employees are indoctrinated with a high-level of respect, courtesy, and allegiance to the quality of their work, assuring you a pleasant experience with Four Golden Brothers Painting. We take the stress of your home remodeling and do it for a reasonable cost. 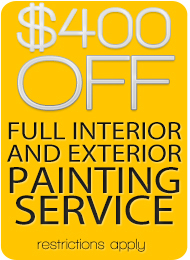 Let us paint for you!